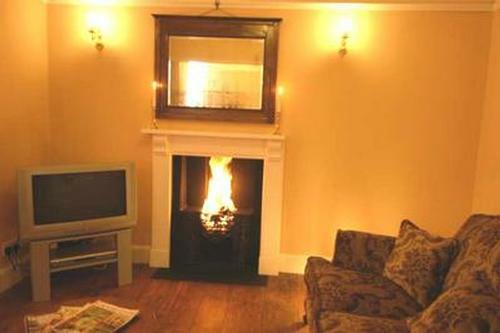 If you want comfortable characterful accommodation in a stunning, unspoilt area then Gwynfryn is the place for you. 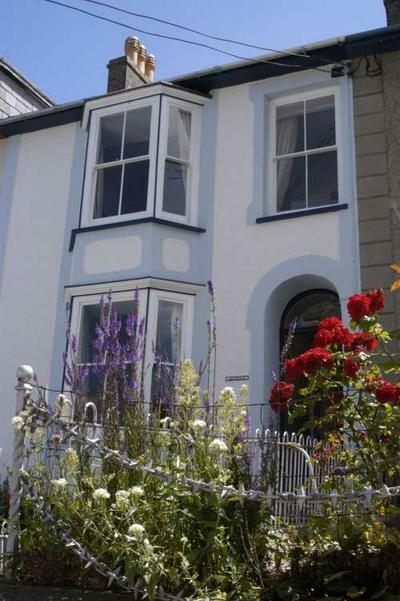 Luxury abounds throughout with well equipped kitchen and bathroom and fantastic views across Cardigan Bay too. There is also free wireless broadband access for those who wish to stay in touch. At Gwynfryn your holiday begins as soon as you arrive. 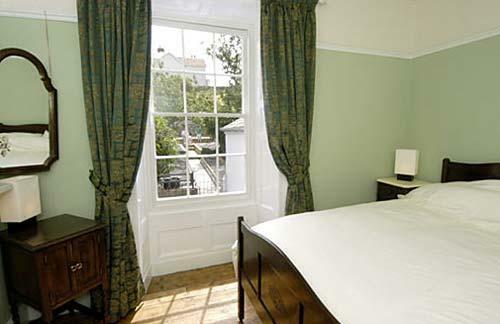 The house is guaranteed to be immaculately clean on your arrival and beds are freshly made up for you. 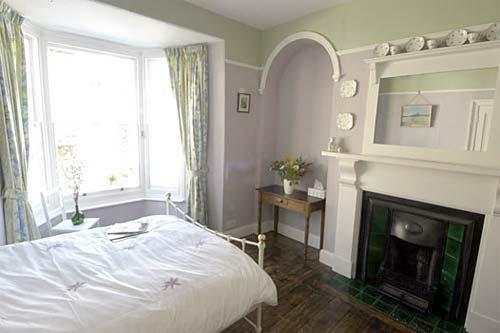 Gwynfryn comfortably sleeps up to 6 people with three bedrooms, of which two are doubles and one has a kingsize bed. All are nicely furnished with antique furniture. The bedroom with kingsize bed also has a tv with dvd player. The lounge and kitchen/diner are both on the first floor. 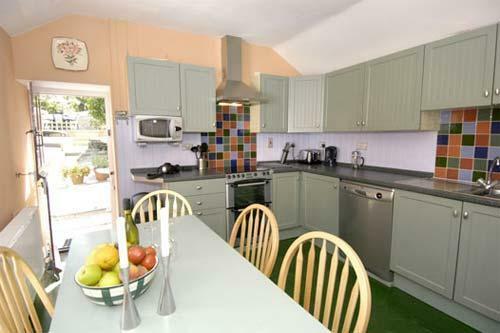 The kitchen has a fully fitted kitchen with ceramic hob, double oven, microwave, washing machine, dishwasher, fridge/freezer and dining table with 6 chairs. The kitchen leads directly out into the stunning back garden with very large terrace overlooking Cardigan Bay. 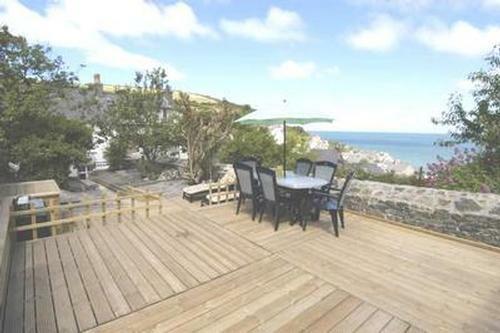 Ideal for barbecues (barbecue provided) or just to sit and relax watching the fishing and pleasure boats in the bay. 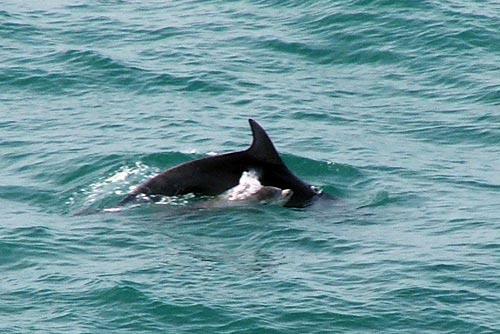 Of course you can see the bottle-nosed dolphins from here too when they are in the harbour. 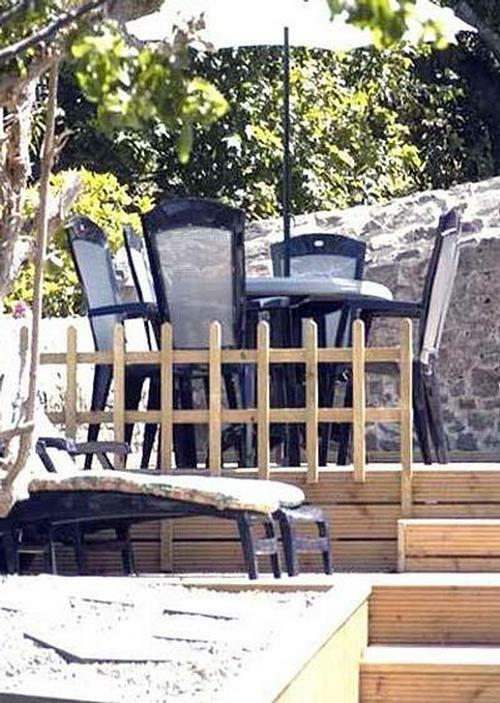 Patio furniture and loungers provided. 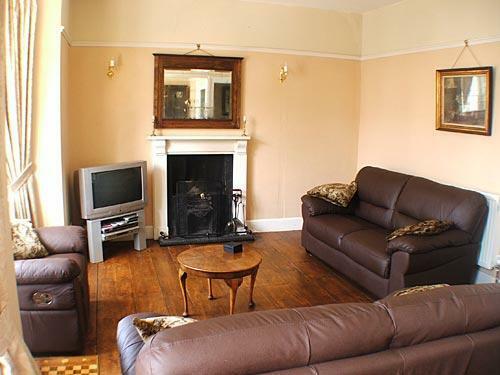 The large, light and airy lounge has an open fire (initial fuel provided), quality, comfortable furnishings, as well as a widescreen digital tv, dvd player, hifi system with docking station. Sea view from the bay window too. Free broadband internet access including wifi. 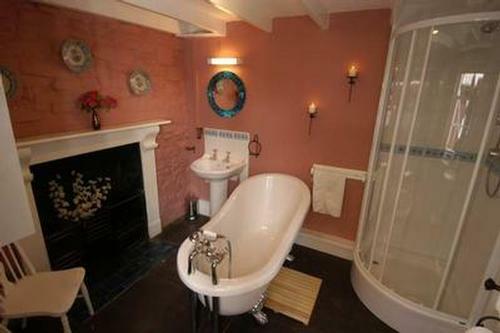 The ground floor luxury bathroom has a roll-top slipper bath, separate corner entry deluxe power shower, shaver socket etc. A weekly car parking ticket is provided for the nearby car parks. Please note that there are several steps leading up to the house at the front and also inside due to the fact that the living accommodation is on the first floor. May not therefore be suitable for infirm. 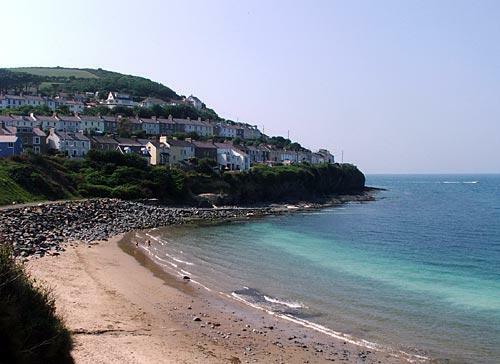 If you can bring yourself to leave Gwynfryn, New Quay and the surrounding area have lots of facilities and activities to suit all ages. The picturesque sheltered harbour, award-winning beaches and narrow, terraced streets add to the charm of this friendly fishing village. Shops, pubs, restaurants and take-aways are all within a few minutes walk of Gwynfryn. Fishermen sell their freshly caught fish on the pier. There are some excellent seafood restaurants nearby too. 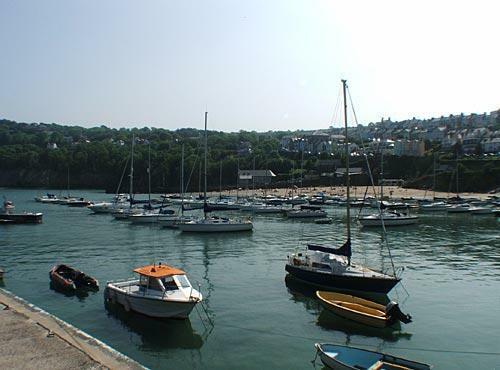 Boat trips as well as canoeing, fishing, windsurfing and sailing facilities available in the harbour. You could learn to sail whilst on holiday in Gwynfryn as courses are available nearby (Easter to October). 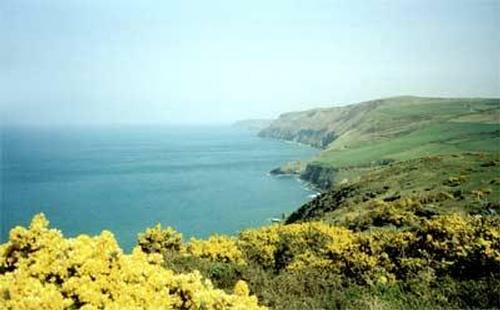 Gwynfryn is also just a few minutes walk from the stunning coastal path with breathtaking views and stunning wildlife for you to enjoy. Bird's Rock, an SSSI, has an awesome range of seabirds for you to sit and watch and the bottle-nosed dolphin and Atlantic grey seal are also resident along the coastline here. 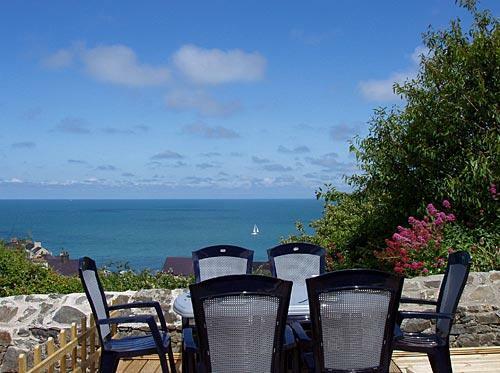 There are miles of both inland and cliff walks which are well worth exploring and pony-trekking, horse riding, great golf courses, a dry ski-slope and fishing (both sea and lake/river) facilities are all available in the area. 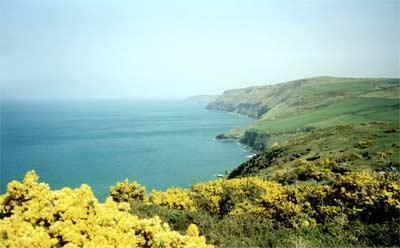 Take time out to enjoy the truly magical county of Ceredigion. 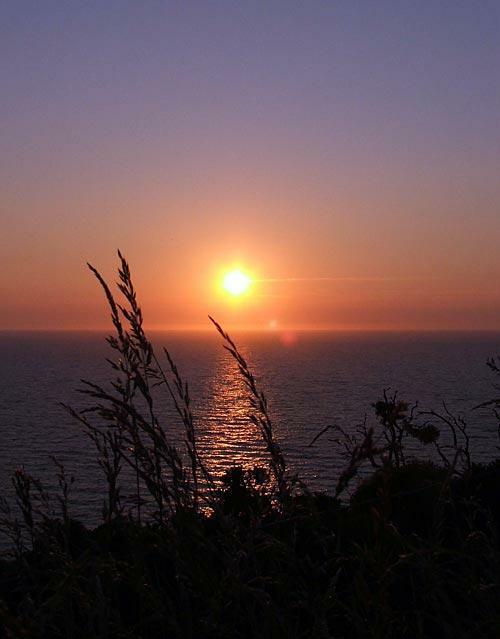 With stunning cliff and mountain scenery, hidden coves and harbours, quaint towns and villages, friendly locals and of course those absolutely fantastic sunsets. Aberaeron is just 6 miles away, Aberystwyth, Cardigan and Newcastle Emlyn within 20 miles. As well as some stunning coves and harbours to explore there are also wonderful attractions nearby too. 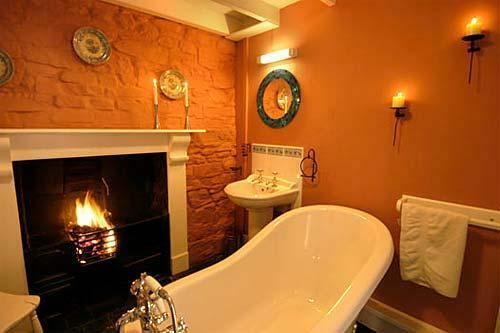 Llanerchaeron, a recently renovated National Trust house and walled garden is a short drive away. The National Botanical Gardens of Wales, Aberglasney and the Centre for Alternative Technology are all within a pleasant hour's drive. 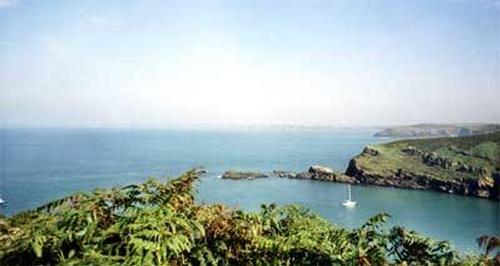 So too are the city of St Davids with its stunning cathedral and Bishop's Palace, Tenby, Fishguard (take a day trip to Ireland), the Preseli and Cambrian Mountains and much, much more. Off-peak discounts when only one room used. Please note that we reserve the right to take a refundable damage deposit. Changeover day at Gwynfryn can be on Sunday, Monday or Friday (except for short breaks). Arrival times after 3pm and on departure the house must be vacated by 11am. 1. Contact us via or telephone to check availability for your required dates. 2. 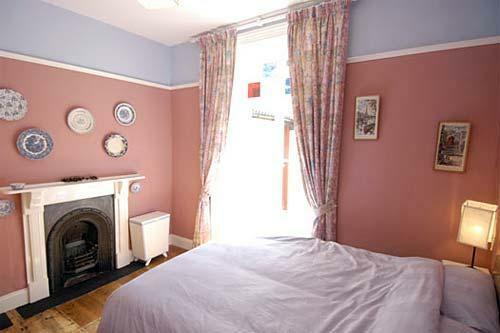 We will then provisionally reserve the accommodation for you for 5 days pending receipt of required deposit. 3. A deposit of 50% of total holiday secures the booking. Payments are accepted by cheque, bank transfer or card via Paypal (additional charges apply). 4. Upon receipt of deposit we will send written confirmation (post or e-mail) of your booking along with directions on how to get to to Gwynfryn. 5. The balance is payable 3 weeks prior to arrival, via one of the above mentioned methods. 6. In the event of a cancellation made by you we will make very effort to re-let the accommodation and if successful will repay your deposit less an administration charge of £30. Please note however that in the event of a cancellation made within 3 weeks of the beginning of your stay we will be unable to return your deposit. In the event of cancellation made within 3 weeks then unless we manage to re-let the property you will be required to pay the total balance due. We suggest you consider appropriate holiday cancellation insurance to cover this possibility.